At our Willow Creek mini-farm in the 1970’s the yard was mostly pine trees and Charleston grass, with a few azalea bushes in front and a weeping willow in back. Sparse, I thought, so I decided to add at least one of every bush and tree I’d ever liked in somebody else’s yard. Wish list in hand, early one spring morning I visited a local garden shop. 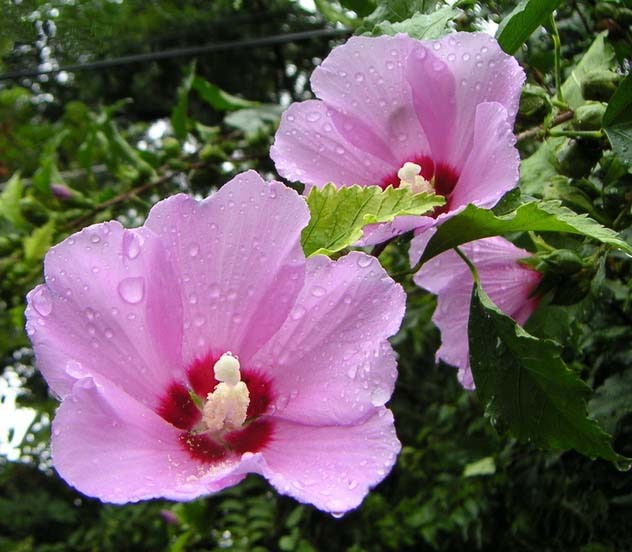 First on my list was an althea, also known as the Rose of Sharon. The cashier explained that she was minding the register for someone else and had limited gardening knowledge, but she’d do her best to help me. “What would an althea bush look like,” she asked? I described the ones I remembered that grew in front of Mimi’s front porch, a hedge of leafy bushes shading the porch from the afternoon sun. The tall slender branches were covered with palm-sized lavender flowers. Every year new stalks sprouted up from the ground around the base of the parent bushes and Mimi let them grow, seldom bothering to prune the branches. But the lady shook her head; she was sure they didn’t have any althea bushes. Perhaps a rose bush would do? I told her no, I had my heart set on an althea. 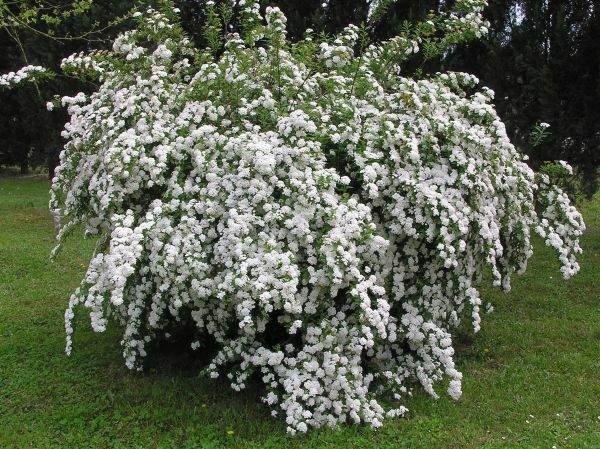 Okay, I asked, how about a bridal wreath spirea? “What’s a spirea?” I said it would look something like a miniature weeping willow except that the long arching branches would be covered with tiny white flowers during blooming season. Such graceful plants, they always had a calming effect on me just to look at them. Surely the shop had a spirea or two? “No, I’m sorry,” she apologized. I wrinkled my nose as I put an X by spirea on my list. I knew it was a long shot, but I asked if she’d ever heard of a handkerchief tree (Chinese dove). She hadn’t, and I myself had only seen one in this area, in a yard way out on Paul Jones Road. 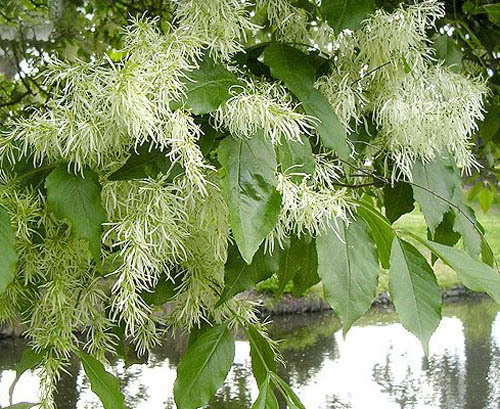 It was a beautiful medium-height tree sprinkled with large droopy white flowers. 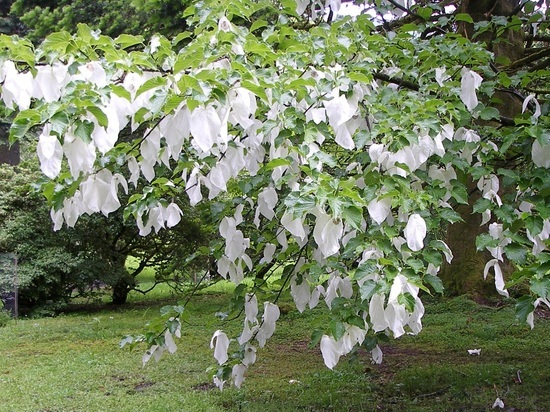 But of course, the shop had no handkerchief tree either. Since then I’ve learned that they don’t usually survive this far south. 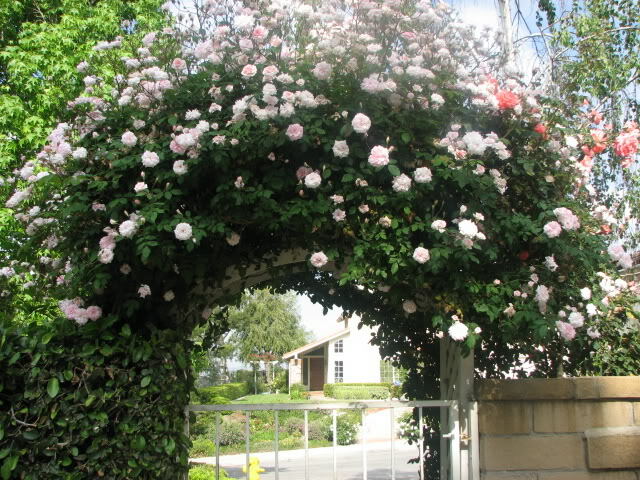 Okay, they had rose bushes, how about a sweetheart climbing rose? Mimi had one in her back yard that bloomed for many months out of the year, crammed full of tiny pink blossoms. One of those would be pretty in my side yard. But alas, they didn’t sell climbing roses, only the kind people put in vases. I was getting discouraged and the cashier was getting embarrassed, so I bought something I didn’t really want, a viney pot plant with multicolored green leaves. I borrowed her phone book, flipped through the yellow pages and added a few other destinations to my shopping trip. I determined to visit every nursery and garden shop within driving distance, and in the 1970’s there weren’t many. My luck was mixed to say the least. Some plants on my list I never did get, like a grandfather’s beard bush (left) and an exotic yellow-red tiger lily (below) like Mimi raised when I was little. I did buy one potted gardenia bush that day, which didn’t survive being transplanted in my yard. Eventually I added a few dogwoods, a flowering quince, wisteria, some Eisenhower cannas and a baby magnolia tree to my landscape. The magnolia didn’t live long, either — an enthusiastic young lawn-mower did it in. We carefully planted an apple tree, peach tree and an old fashioned pear tree. They did pretty well, producing leaves but very little fruit in the next few years. A friendly neighbor offered us a catalpa (catawba) tree which I politely declined. “We don’t fish enough to make it practical,” I explained. Many country fishermen planted catalpas to attract fishing worms, actually caterpillars that they picked off the trees like some kind of fruit. Ugh. No thanks. 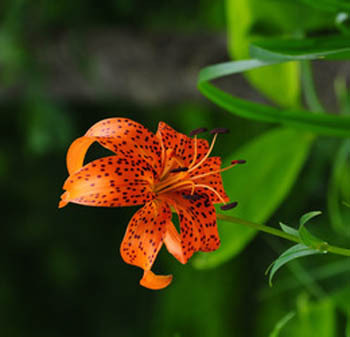 Recently I researched the availability of some of my long-admired but never-owned plants and discovered I could purchase a grandfather’s beard tree, a tiger lily, an althea and even a handkerchief tree, all over the internet. I downloaded photos to use as screen-savers on my computer (sprinkled through these paragraphs as you’ve no doubt noticed). One or two of them even come in brand-new “varieties” these days — plastic or silk, that is — but it just wouldn’t be the same. This entry was posted in 1970s and tagged althea, grandfather's beard, handkerchief tree, spirea, tiger lily. Bookmark the permalink.